A PPB deputy fears that the cases of Nasirov and Martynenko will crumble in court. MP Yuriy Solovei of Petro Poroshenko Bloc (PPB) believes that the newly created anti-corruption agencies have not yet demonstrated the desired result. 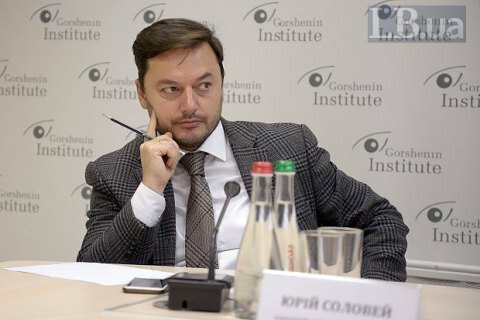 Speaking in Gorshenin Institute on 2 December at a round table conference on the results of 2017, the lawmaker stated doubts as regards the effectiveness of the newly-created anti-graft agencies . "Many of my colleagues talk about NABU, SAP, NAPC, and just-created SBI. I beg a question. A whole lot of money, up to 2 bn hryvnia [have been allocated to these agencies]. Where's the impact?" Solovey said. He went on to criticise the work on anti-corruption agencies on the recent high-profile cases of Nasirov, Martynenko, and Lviv Armored Plant. "In most of these cases, not even indictments have been made. I can be a good or a bad prophet, but I fear that most of these cases will crumble in courts over the lack evidence," the lawmaker said. NABU and SAP have repeatedly complained about the resistance of the judicial system and demand the soonest creation of an independent anti-corruption court. The government and parliament have long time resisted this idea.